If you’re not exhausted by Festival shenanigans and The Great Escape this coming weekend, or even if you are, there are some fine gigs coming to Brighton in the latter part of the month which you might not want to miss. One at the top of our list is the welcome return of Marissa Nadler, who releases her new album ‘Strangers’, her seventh, on Bella Union this week. She’ll be bringing her gothic romanticism to the intimate stage of the Prince Albert, accompanied by inventive drummer J.R. Robinson who also provides support in the form of his Thrill Jockey doom merchants Wrekmeister Harmonies. 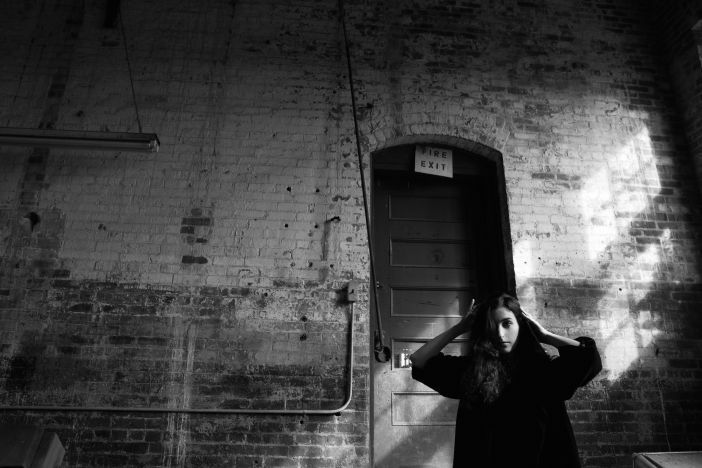 Marissa Nadler has carved a clear straight path on her albums-to-date, pre-empting the new-goth teen fascination with all things zombie, with a series of dark and mesmerising albums like ‘Ballads of Living and Dying’ or 2014’s ‘July’. New album ‘Strangers’ has been picking up some strong reviews, impressing listeners with its rich atmospheric beauty and Wire calling it “Music that edges tantalisingly close to greatness”. That bodes well for an impressive and intimate show. Expect to dress in black but be illuminated by poetry and light. Prince Albert, Tuesday 24th May 2016. Tickets.